Here I will explain how to cut an mp3 audio file using Audacity. 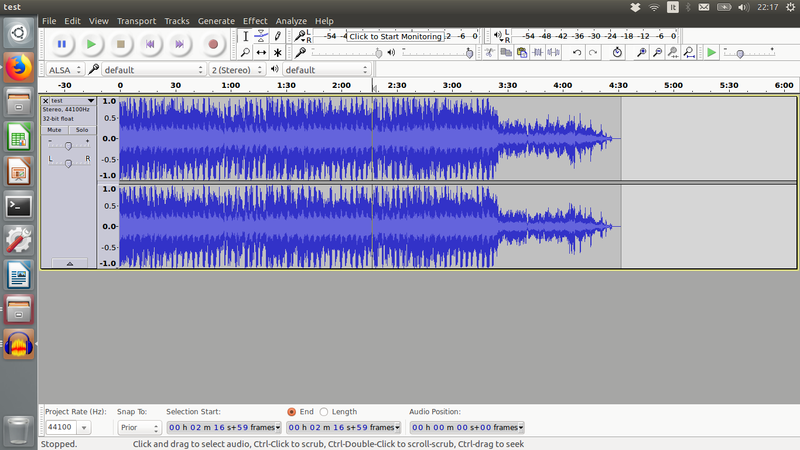 Audacity is a fairly simple sound recording/editing software available on Ubuntu and Windows. 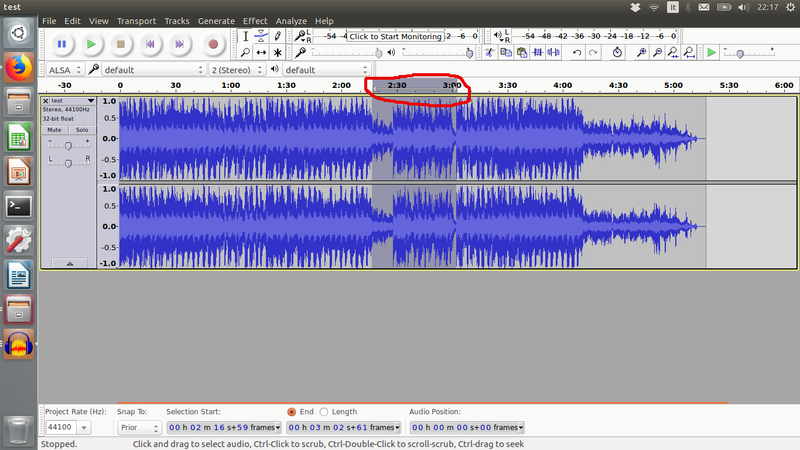 For non experts (like me) Audacity is a friendly tool to cut mp3 to the desired sound regions. 2) With the mouse, go over the region showing the song length. Imagine you want to cut from minute 2:25 to minute 3:00 (approximately!). Position the cursor on minute 2:25, left click, then drag the mouse to minute 3:00. The region will be grey (see Figure). 3) Now just press CTRL-X and the region will be cut from the file! 4) At this point you can save the project or export the file as an mp3 as you will normally do for any sound record (File -> Save Project or File -> Export Audio…) and you will have the cut file on your PC.